← Why Lord Ganesha is Worshiped First? The divine language Sanskrit is really enchanting. Sanskrit words have immense power. They are like mantras themselves. If we probe, every Sanskrit word is a seed to give us a big banyan tree of meanings! Shridevi is a Sanskrit word with many shades of interpretations, just like Great Poet Kalidasa’s Vagarthaviva verse. Let us explore Vagartha (word and its meaning) of the word Shridevi. This is an interesting question for many people. The popular belief and answer is that: Shridevi means only Shri Lakshmi, the consort of Lord Vishnu. On the contrary, in my posts, I refer Mother Parvati as Shridevi. How can that be? It is somewhat puzzling! Right? So, let us understand it clearly once for all. That is She, in which all creatures take refuge. That force on which everything depends. One who is prayed by everybody. The word Shri refers to the cosmic energy or divine power(Shakti) behind everything. She is Lord Vishnu’s power Shri Lakshmi. Shri is also the power behind Lord Shiva, i.e. Parvati. However, in practice, the term Shri is used to mean Shri Lakshmi, the goddess of wealth and prosperity. Also, Shri is attached to a name as a honorific prefix to indicate respect(like using Mr. Ms. etc in English) to both ladies and gentlemen. Thus, calling Shri Sita means that we are addressing Sita with respect. Devi is one who shines(with power, brilliance and beauty). Shri-devi : Notice the emphasis on the word Shri! Here we are referring to Shri Lakshmi, consort of Vishnu as Shri. The word Devi is used for respect. In other words, Shridevi means Mother Lakshmi. Shri–devi: Here the emphasis is on Devi. Devi means Mother Parvati. The word Shri is used to address Mother Parvathi with respect. So, the word Shridevi means Mother Parvati. Shridevi: Equal emphasis on both the words – Shri and Devi. In this case, Shri means Lakshmi and Devi means Parvathi. So, two goddesses Lakshmi and Parvati are referred equally by a single word! Shridevi: Again, equal emphasis on both the words – Shri and Devi. Shri refers to Lakshmi and Devi suggests Parvati. Now, if we take Lakshmi and Parvati together in one deity, then the word Shridevi becomes the name of Mother Durga. How? Mother Durga is made up of all powers including Saraswati, Lakshmi and Parvati. So, the word Shridevi directly addresses Lakshmi and Parvati aspects of Mother Durga. 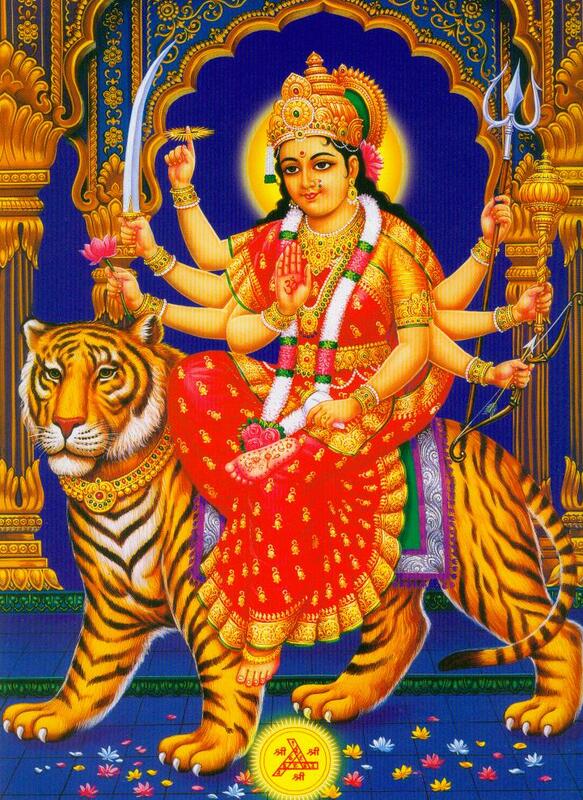 As discussed, the words Shri and Devi also separately mean Mother Durga too. Shridevi: Further, with equal emphasis on both words, Shridevi means Devi of Shrichakra, i.e. presiding deity of Shrichakra. It is Shridevi Lalita Mahatripura Sundari. Here the word Shri symbolizes Shrichakra, a mystical geometrical diagram that represents Shridevi Lalita. Devi means the presiding deity or power. Shri Lakshmi is the Goddess of wealth and prosperity. In other words, she is the deity for material enjoyment (bhoga). Shri Parvati is the presiding deity for liberation (moksha) from endless continuous life and death cycle. So, if we want to enjoy material prosperity, we need to pray Lakshmi. If our goal is to achieve moksha(liberation), we should get the Grace of Parvati. Which meaning do I need to consider while praying? OK. You can use the word Shridevi to address Lakshmi, Parvati or Durga. You could use mental or oral(say loudly!) stress on indicate your intention to address the required deity. I hope, meaning of the word Shridevi is crystal clear now. Caution: Please do not use emphasis as suggested above in japa (continuous chanting of the word). We do not know the effect. You may only emphasize while addressing the deity in prayers. Note: We recommend our new guests to read our policy and the FAQ before exploring the blog in detail. Enjoy reading! Have Fun!! This entry was posted in Hindu Deities, Vagartha and tagged about devi, about shree, about shri, bhoga, devi, durga, lakshmi, liberation, meaning of devi, meaning of shree, meaning of shri, meaning of shridevi, meaning of sri, moksha, parvati, prosperity, sanskrit, shiva, shridevi, sri, vagartha, vishnu, who is shreedevi, who is shridevi. Bookmark the permalink.